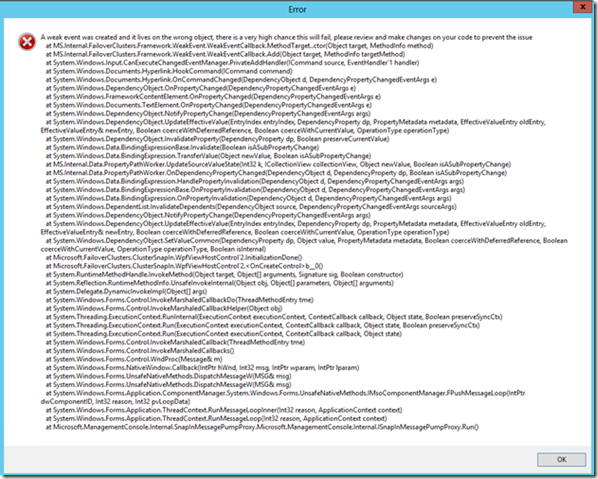 Recently, I added a node to existing windows 2012 based failover cluster. Everything went normal , but failover cluster console is getting crash and generating error as below . I have read a few just right stuff here. Certainly worth bookmarking for revisiting. I wonder how so much attempt you set to make this kind of wonderful informative web site. How to view and export Active Directory Delegated Permissions? How to Protect Active Directory Objects from Accident or intentional Deletion?